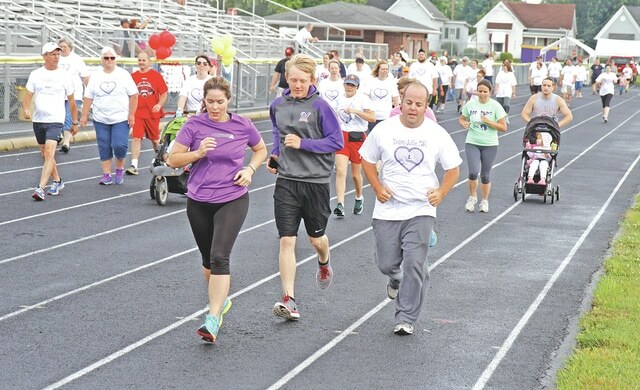 Some of the people who participated in the 2nd annual 5K Benefit for St. Jude Children’s Research Hospital held last weekend in Greenfield are pictured at the McClain High School track. More than 150 people participated in the event. It raised approximately $3,800 for the hospital and donations can still be made by calling 937-763-4352.